*Thank you to VIIcode for sponsoring this post. The following is my 100% my honest opinion. One of my smaller goals for this year is to do exactly what the title says, doing better for my skin. Why a smaller goal you may ask? Because, a lot of the time, doing better means getting better quality products which means dollar amounts higher than I’m used to. I want to do all the things that are better for my skin, especially now that I’m in my thirties (technically the beauty world says you should be using wrinkle cream in your 20s but whatever), but my budget just doesn’t allow me to completely overhaul my beauty routine with top of the line products. So, for now, I’m doing two things and today I’m sharing with you number one. This is something that I have wanted to try for months now. I have wanted ombre hair since I saw it popping up all over my Pinterest feed. However, I don’t get my hair done often because it can be pretty expensive. My mom came up with the brilliant idea that there;s probably a tutorial out there on Pinterest somewhere. Duh!! Why didn’t I think of that?! Sure enough I found two that I thought had the best results and I would try one of them. One using just some boxed highlights and one using a bleach kit. I chose the box one. I’m no stranger to dying my own hair, but the thought of bleach made me nervous. So my mom came over and we got to work. Both tutorials were pretty much the same, telling you to start below the shoulder for the first round. Rinse and dry. Then about the last few inches for the second round. Rinse and dry. Of course, if you have shorter hair, you’ll start higher for your first round. Well, unfortunately the box dye did nothing for my hair. It looked vaguely lighter and that’s about it. Turns out I had probably gotten the wrong product. The tutorial had used a highlight kit and I had bought plain ole’ blonde hair dye. I don’t know much about the make up of each product, but I’m assuming there’s a difference. Needless to say, we were very disappointed and I just couldn’t let it go down this way. Off we went to get the BLEACH! We went through the same process again and I am beyond happy with the results! My only warning when using the bleach is that you READ THE DIRECTIONS. Everyone’s hair is different. 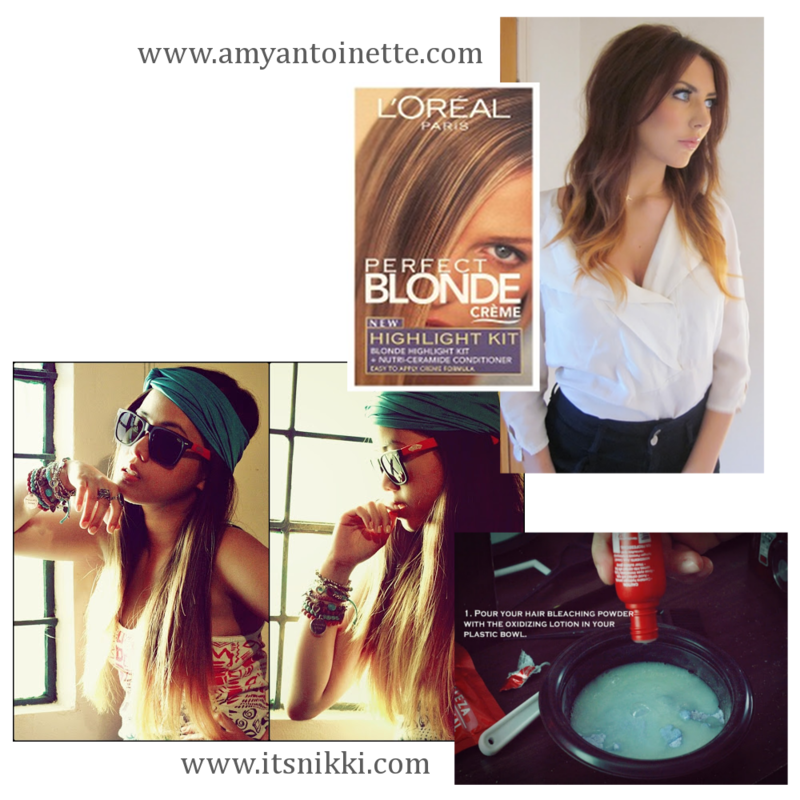 Be it texture, color, length. Follow the directions and watch you hair as it processes. It’s a subtle change and I’m loving it. THIS is the bleach kit we used. I have pretty sensitive skin. It took me a long time to find a combination of products that worked for me. 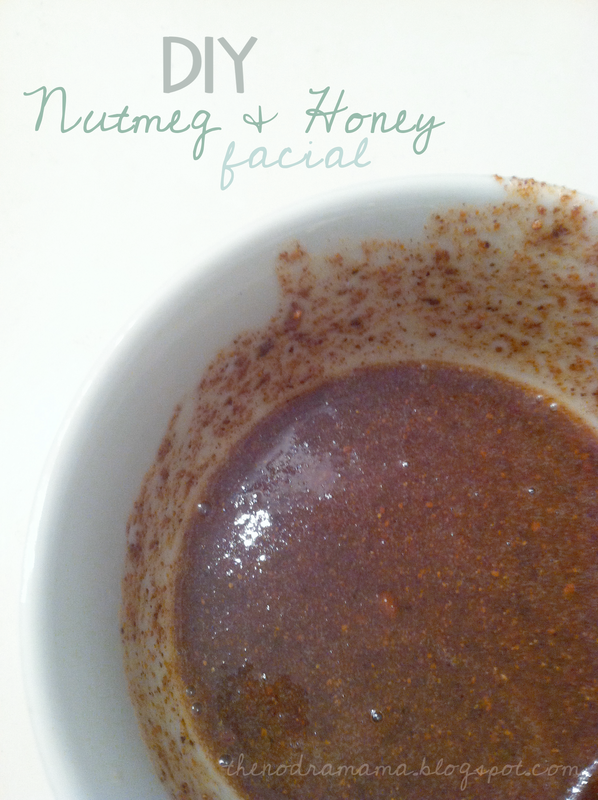 I’ve tried it all, even Proativ, but found that the natural products are what works best for my skin. Don’t get me wrong. I definitely still break out but not as much as when I was flip-flopping face washes. 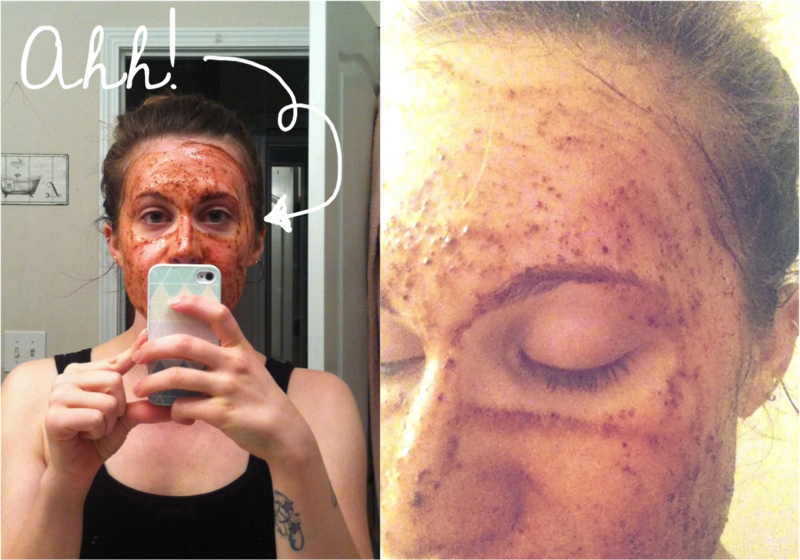 So, needless to say, I don’t like to try new facial stuff now that I have my formula down. 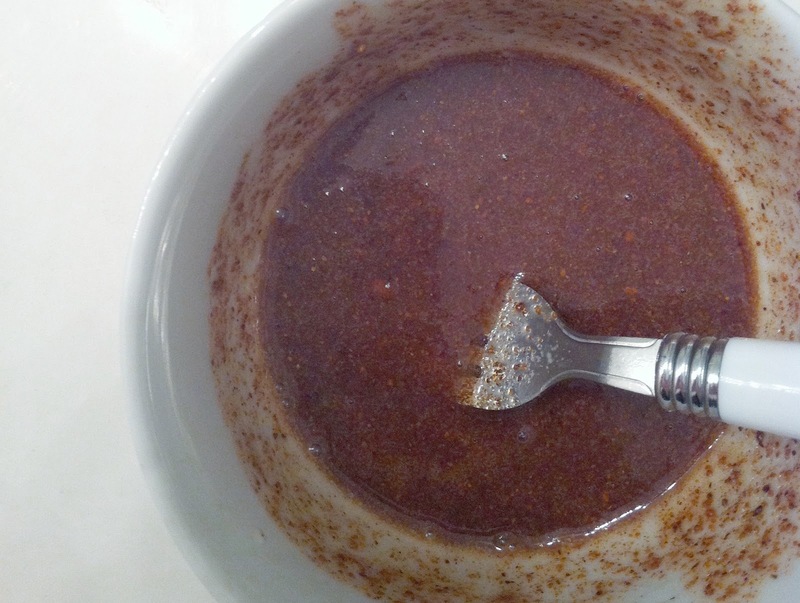 Then, thanks to the wonderful world of Pinterest, there are a lot of DIY all natural remedies to try. The one I recently tried goes a little like this. Apply to face, wait 10-15 minutes, rise off and moisturize. I like the way it feels on my skin, exfoliation! Kinda looks like a rash though…but at least it smells good. My results so far? No new blemishes have popped up and I’ve only done it once this week. The recipe made enough for 2 treatments. I’m a fan! If you follow me on Instagram, you may have seen the above picture. Since becoming a mom I’ve had my hair done once…ONCE! And as much as I love being blonde, once in 8 months is not going to cut it. 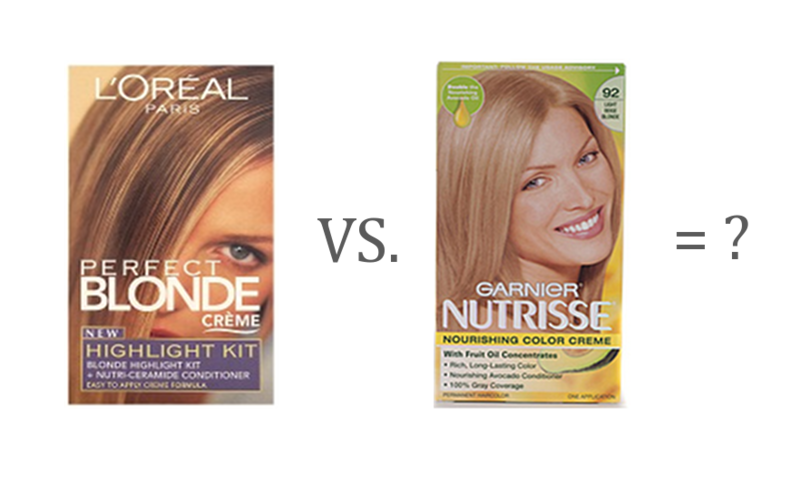 Blonde requires quite a bit of upkeep (unless it’s your natural color of course!) and I just didn’t feel like it was something I wanted to do. I like to do things on the cheap…blonde is not cheap! You know what is (most of the time) cheap though? 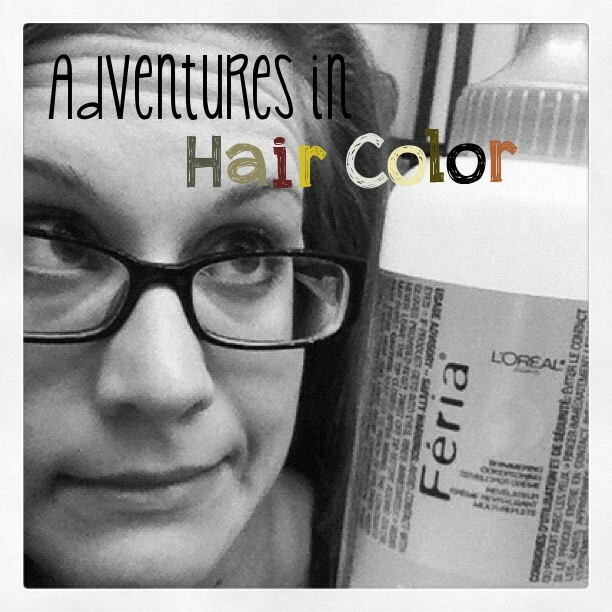 Home hair dying can be pretty daunting but at the end of the day…it’s hair. It grows, you can dye it again, etc. I guess when all is said and done my advice would be to just go for it! I’m still getting use it but feelin’ pretty sassy too! SO….I entered a few swaps recently. All with completely different send and post dates. Somehow, due to delays in the mail, the linkups all ended up on the same day! Crazy! So I’ll just start with the first one I received! I don’t really have a lot of nail polish and tend to stick with the same colors year round. I wanted to branch out so I signed up for 2 polish swaps. For this first one, hosted by Megan from Shine On and Angela from Hairspray and Highheels, I was paired with Katie over at Katers Potaters. Now when I got the package I kind of panicked…. 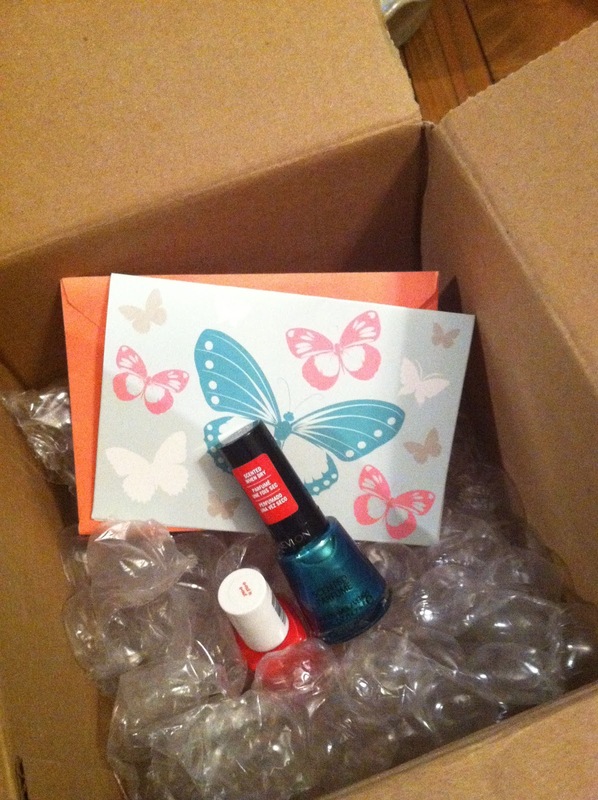 But as I opened it and soaked the bottles in polish remover, I realized it was like opening another whole package! I love the colors…nothing like I already had. Plus a cute nail file/tweezer set! This one was hosted by Carly from Lipgloss and Crayons and Rachel from LaLa Lists. Ms. Heather over at Gurlee Girrl was my lovely swapper! I hope she loved her neons! This is what I got! 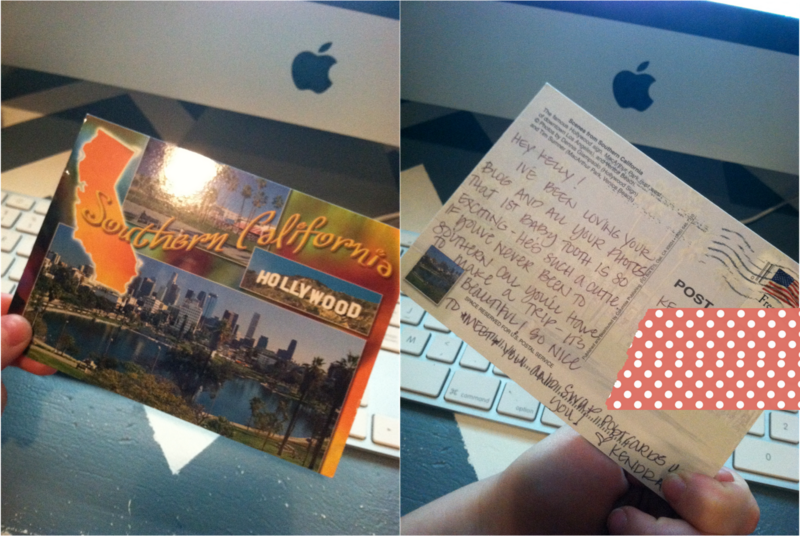 Please notice that the card matches…Heather, you are fabulous! The Essie is seriously my new favorite! This was a secret swap. These are SO MUCH FUN! Who were the hosts? The wonderful Dalayna from Pointing Up and Rachel from Yellow Umbrella! It is no secret that I LOVE coffee. I need it, crave it, etc! So I’ve been looking for a mug swap for awhile and this one found me! 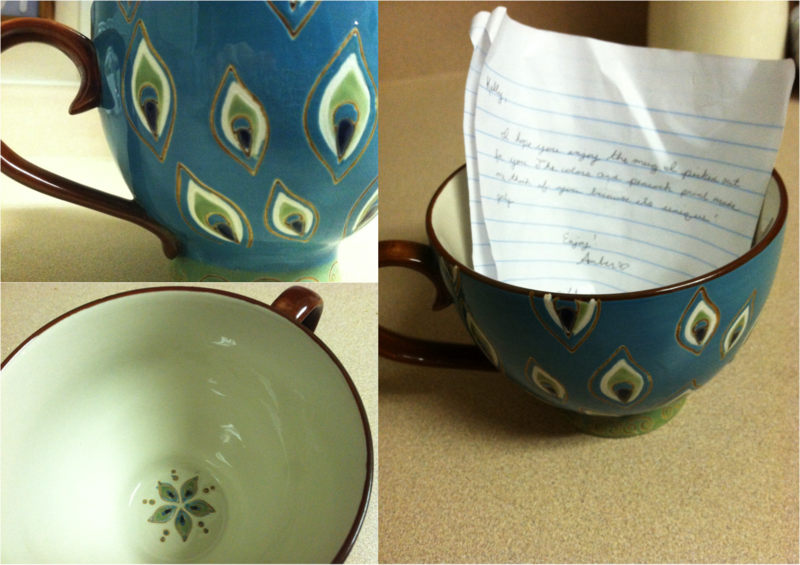 I sent a mug to The Thriftiness Miss…..you can see it HERE. Mine was from the lovely Amber from One Life to Live! She sent me this GORGEOUS gem! Side note: I love how my swappers totally get me! Our two fearless leaders? Hayley from Hayley’s World (you may remember that she was the lady I sent my Jewelry Swap to!) and Kim from Pink, Pearls, and Polka Dots. My swapper was Kendra from Kendra Kay. All the way from CALIFORNIA! This was a coast to coast swap! She’s from southern Cali and while looking through her pics on her blog, it seems like a crazy fun place! Since I couldn’t find a single place that sold postcards, I ordered and sent her a really pretty (at least I think it’s purdy!) vintage Atlanta card. Here’s what she sent me! You can find all the link ups on the hosts’s pages! 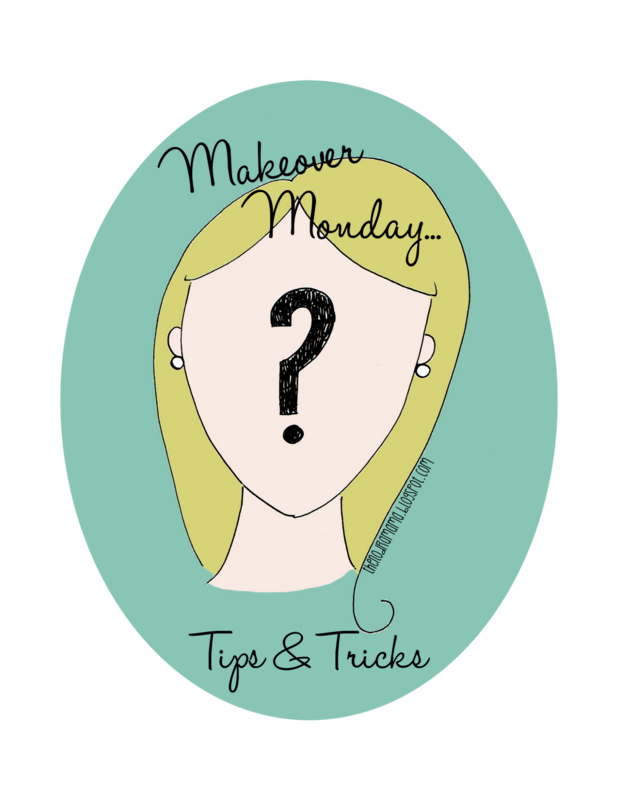 I feel like it’s been forever since I did a Makeover Monday post. Tell you the truth, it probably has! Recently I was watching a random local show and they were featuring some unique beauty tips that are inexpensive and pretty unconventional. So I decided that this would make for a great post and got to trying a few! 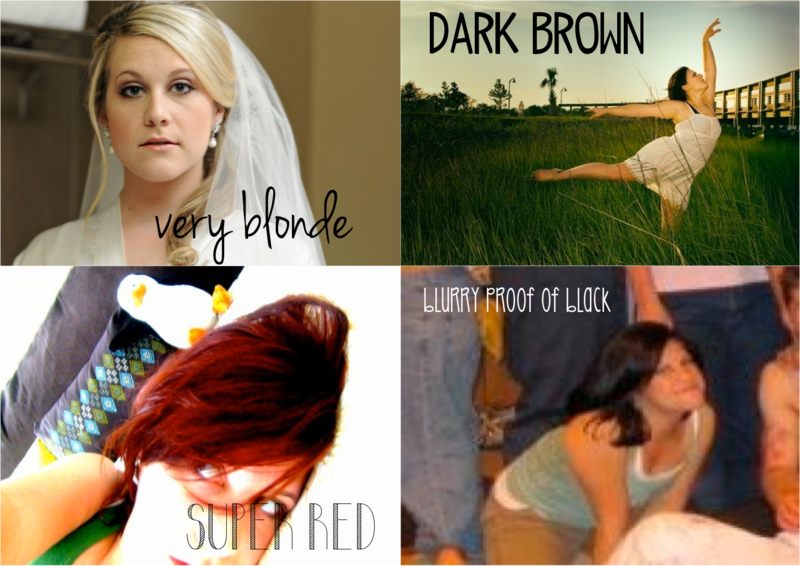 So here are a few I’ve tried plus one that’s been circling the blogoshpere that is a MUST TRY! This is one of the best things I’ve learned! I love makeup and I’m always playing with different ways to do my eyes. I’m loving winged tip these days but since I’m no professional, I had no idea how to get a good clean line without looking like someone punched me in the eye. UNTIL NOW! 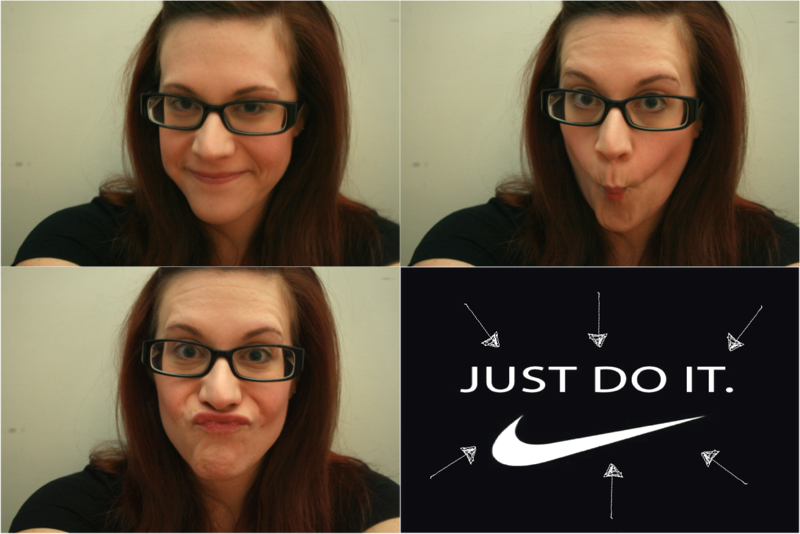 Grab a post it note and stick it on your face! No really, do it! Place the sticky note right at the corner, at a good angle, and start drawing your line out from the lashline. What makes this trick work is that the note provides a straight edge while also working like painter’s tape! I think that a shadow liner works best for this. Added bonus tip? 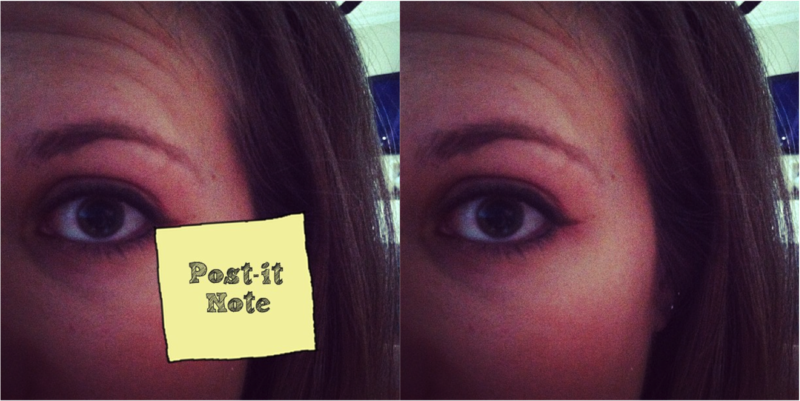 After lining your eye, hold the note on your lid while you apply mascara. NO little mascara smudges on your lids! Let’s just say this kind of grossed me out when I read about this one…but I quickly got over it! Dip your razor in olive oil before you shave for a smoother result. It seriously feels like you’ve already put lotion on when you’re done. Bonus! Helps prevent the razor from rusting! 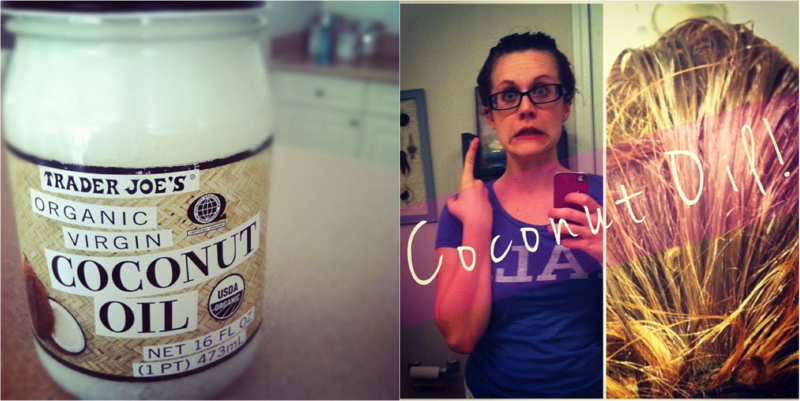 I’ll be short and sweet here…Coconut Oil, do it! Saturate your hair in this yummy smelling wonder and relax for a hour. Rinse it out (be sure you get it ALL out) then shampoo and condition as you normally would. You’re left with silky smooth hair! 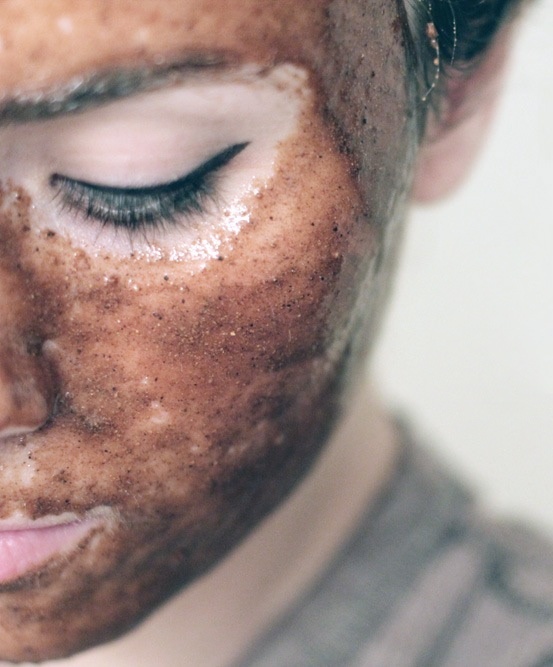 What crazy beauty tips have you tried and loved? I wanna know so I can try them too! 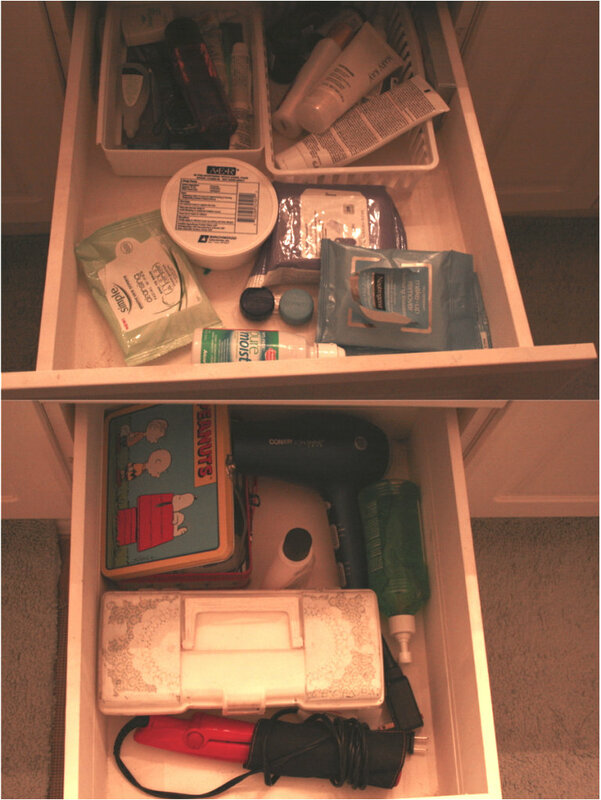 As OCD as I am about being organized, I do (from time to time) get a little lazy. Now to most people, this isn’t bad. To me? AHHHHHH! Something had to be done! 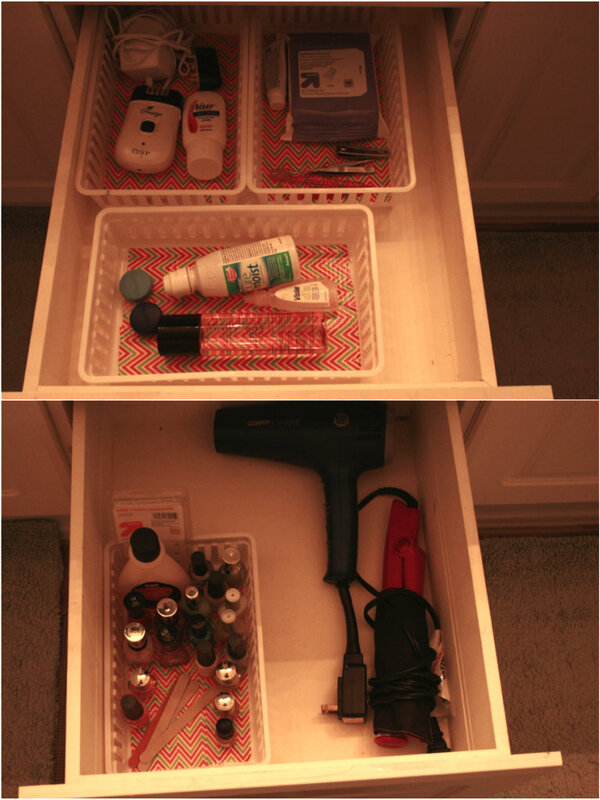 But how to keep all my toiletry/beauty needs neat, organized, and CLEAN? Whatcha think? I love it! 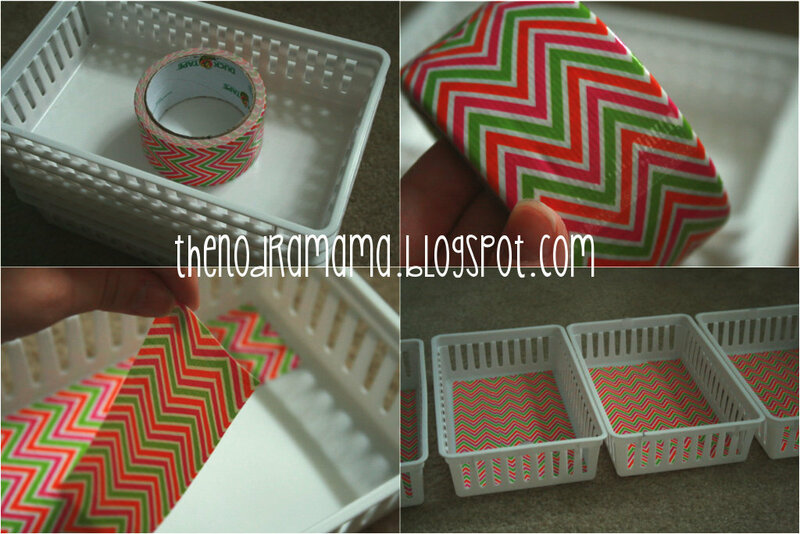 Also, while you’re browsing the net today, check out this awesome blog hop that just debuted!